Sir. Michael was a former president of the Royal Society which is probably one of the highest honors a scientist can receive in the UK. 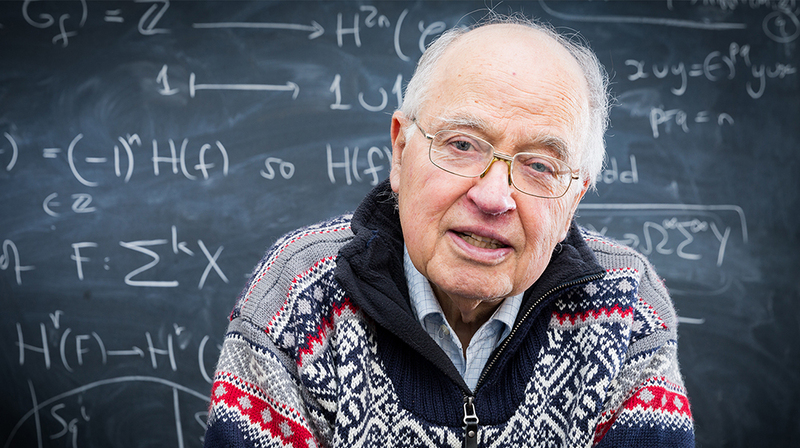 Sir Michael Atiyah is best known for co-development of a branch of mathematics called topology and for the Atiyah index theorem. His work helped theoretical physicists to advance their understanding of relativity and of quantum field theory. Chang’e-4 mission is the first mission in the world designed and conducted to explore the surface of the far side of the Moon. A Chinese lander and rover took images of each other once they landed on the surface of the Moon. The Chinese space agency made a revolutionary move when they managed to touch down on the far side of the Moon on January 3rd 2019. They released panoramic images of the landing site, along with videos of rovers touching down. The Chinese rover and lander are carrying all the necessary instruments to analyze the region’s geology. The Chang’e-4 mission is the first mission in the world designed and conducted to explore the surface of the far side of the Moon. The rover on the Moon has just awoken from a standby period. Controllers placed the rover in this mode after the touchdown as a precaution against high temperatures since the Sun rose to its highest point over the landing site. In these occasions, temperatures can be around 200C. Astronomers announced that they have detected mysterious signals emanating from a distant galaxy which was picked up by a telescope in Canada. The nature and origin of the radio waves are unknown. Among the 13 fast radio bursts which are known as FRBs, there was a very unusual repeating signal coming from the same source 1.5 billion light years away. A similar report was reported only once before by a different telescope.